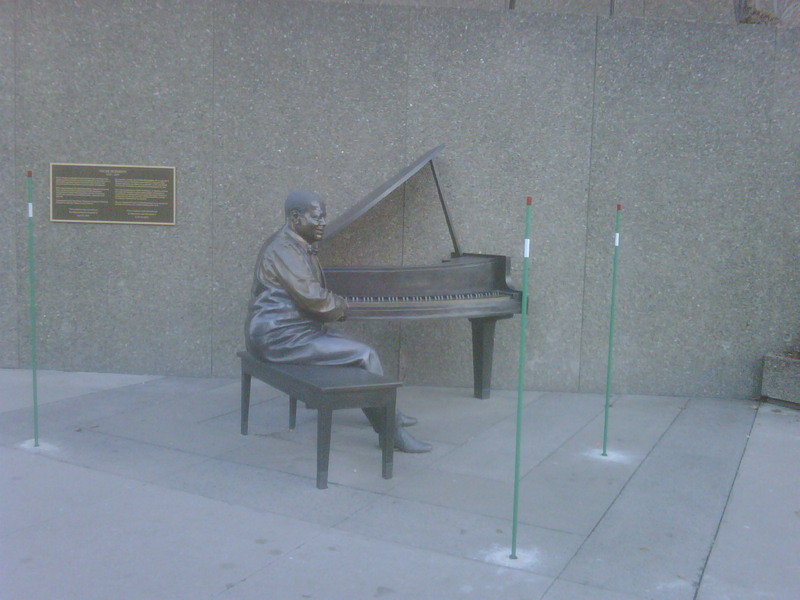 I was walking by the National Arts Centre with a friend at lunch today, and noticed that there’s a new (or at least I’d never noticed it before) addition to the tribute to Canadian Jazz pianist Oscar Peterson. Above the statue of Oscar at the piano are two speakers quietly playing his music onto Elgin Street. There also appears to be two small spotlights, I can only assume the statue is lit at night. Has anyone seen this at night? I thought that was a unique addition to this tribute.